By now you’ve probably seen recipes for Buffalo Cauliflower making the rounds. This is definitely a lower calorie option, but have you thought about the health benefits this meal has to offer? 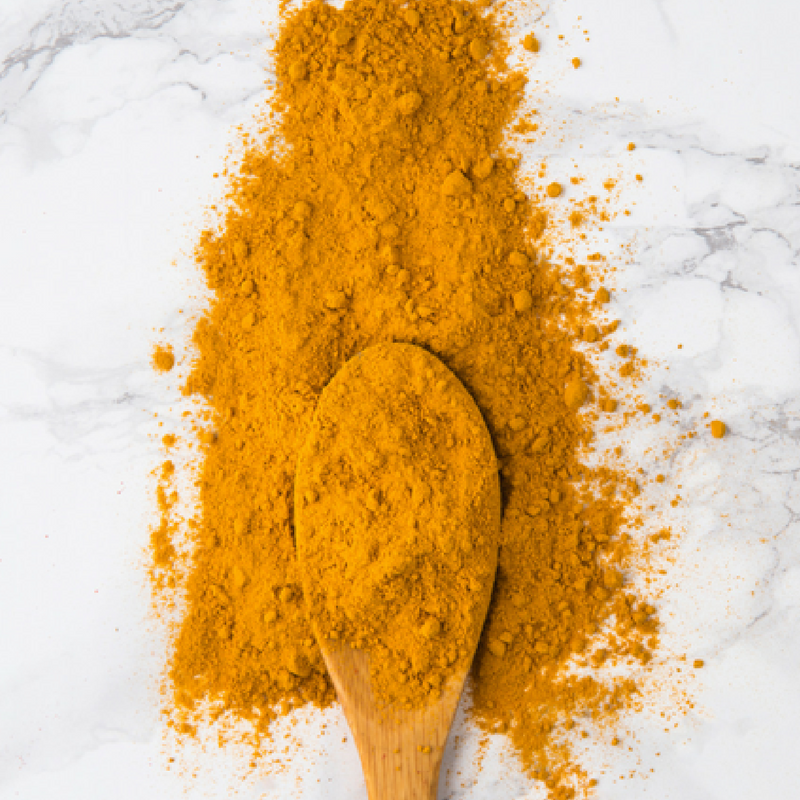 Our adapted version of the recipe, which includes turmeric, is especially good for helping to modulate inflammation. We begin with cauliflower. Organic is ideal, and you can break it into chunks yourself or you can purchase it pre-chunked. Now why am I using cauliflower? 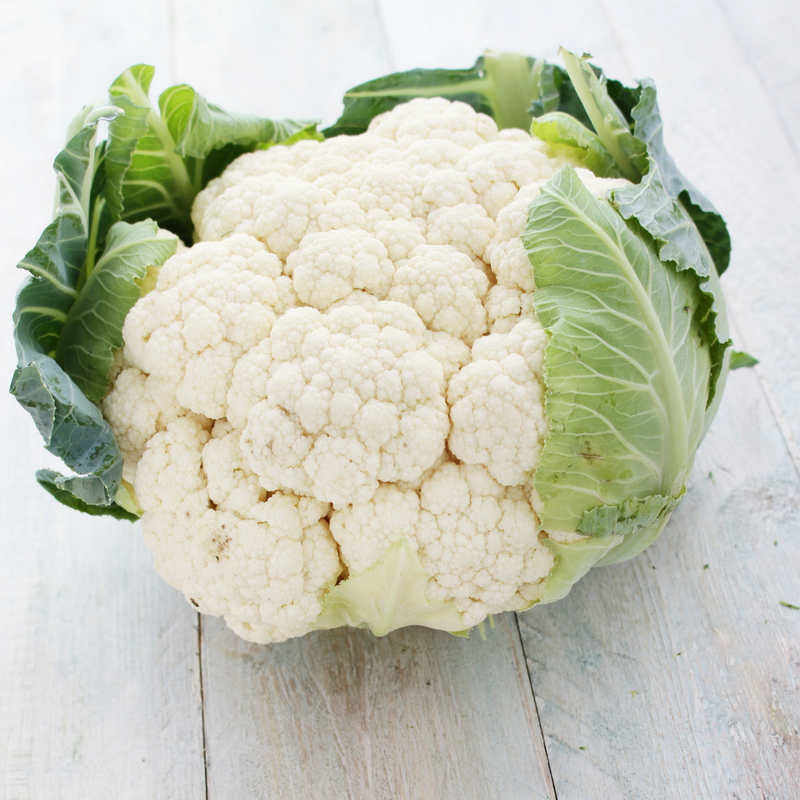 Cauliflower is what’s known as a cruciferous vegetable, also categorized as a Brassica – others in this category include brussels sprouts, kale, and broccoli. Basically what it does is hormone modulation and it does this through something known as the diindolylmethane (more commonly known as DIM) and also something known as I3C indole-3-carbinol. What diindolylmethane does is it actually modulates estrogen levels within the body. For men, it really helps with estrogen because it prevents the aromatase enzyme from converting testosterone. You see, what happens is you have testosterone in the body and as it’s flowing through the bloodstream it gets acted upon by the aromatase enzyme, which converts excess testosterone into estrogen which could make men ‘puffy’, can make them hold water and it can make them moody. Pretty cool to think that a vegetable like cauliflower can help prevent this. Then, what indole-3-carbinol does is it modifies the biotransformation of certain enzymes in your body. You have ‘bad’ estrogens and you have ‘good’ estrogens in the body and if we have too many of the bad estrogens floating around then the good estrogens can’t do their job. The biotransformation that takes place from the indole-3-carbinol results in more of the good estrogen. You only need about half a cup – just enough to coat the cauliflower. In our recipe we use a buffalo sauce, but you could also use hot sauce.The reason that we’re using buffalo sauce is because it’s contains a lot of cayenne pepper, which is high in something known as capsaicin; which has been shown to modulate inflammation within the body. It’s also been shown to reduce pain associated with inflammation but it doesn’t stop there. Capsaicin also has a huge effect on mitigating hunger responses in the body; it can affect your hormone levels like ghrelin and leptin to make it so that you don’t crave as much. Okay, now add 2 tablespoons of coconut oil. You may prefer to use olive oil or avocado oil and that’s okay. The thing is you’ll be cooking this at high heat and you need an oil that’s going to be stable and won’t turn into a highly oxidized fat source. 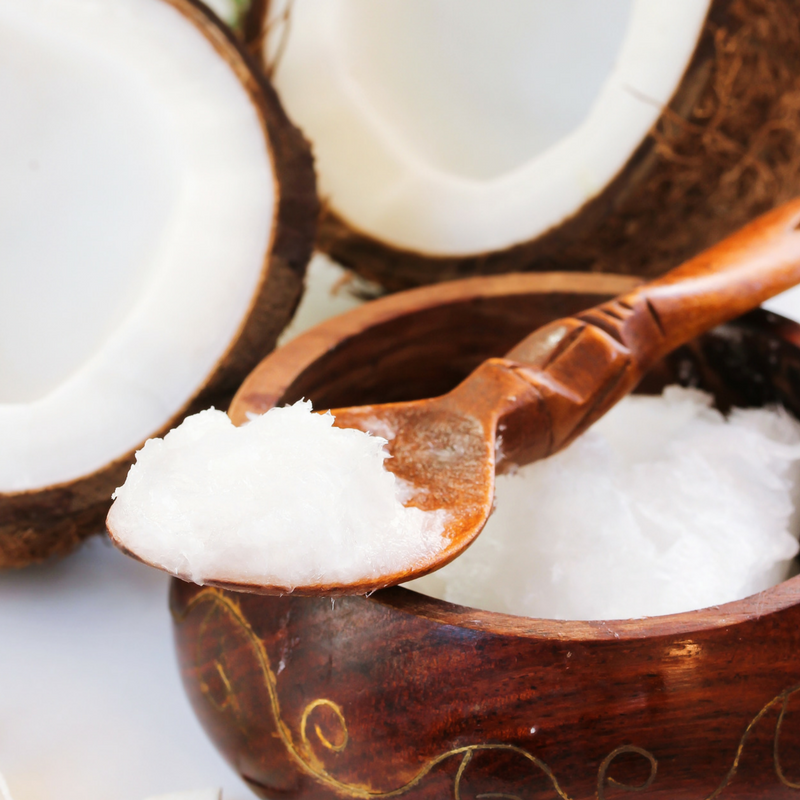 Two solid tablespoons of melted down coconut oil contains medium chain triglycerides, which means the fats will actually be utilized for fuel. Plus, we’ve got the oils in here that are going to allow the turmeric to be absorbed a little bit better. If you’ve tuned into our videos or blogs before, you know that turmeric is very difficult for your body to absorb. Usually to get proper absorption you need to seek out a liposomal or micellar formula (or a special blend that uses both), so you may not be absorbing a lot of the turmeric but you’re at least getting the flavor. What goes better with wings than celery? Celery contains something known as apigenin, which is a very specific kind of anti-inflammatory. It reduces the expression of proinflammatory proteins in the body; what that means is that stops the actual mutation and the proinflammatory proteins from growing and multiplying; which stops inflammation in its tracks. Now you’d have to eat a lot of celery to really get that full effect, but since we’re combining it with turmeric and we’re combining with the anti-estrogenic components from diindolylmethane from the cauliflower, you should notice a difference. But, there’s another thing that happens with the celery, it contains a lot of prebiotic fibers. Now prebiotics are actually the fertilizer for gut bacteria, which can help nourish the existing bacteria in your gut. What that’s going to do is it’s going to make it so that the bacteria in your gut that is already there can flourish. The more you nourish your existing good bacteria, the fewer probiotics you’ll need to replenish them. Put your chunks of cauliflower in a bowl, pour in the sauce, oil and turmeric, and then make sure that the cauliflower is thoroughly coated in all 3 ingredients. Let this marinate for at least 20 minutes. Then, spread the cauliflower out on a non-stick pan. Don’t let them stick together. Pop your cauliflower in the oven for 20-30 minutes. You’ll know it’s cooked when your fork can easily slide into the cauliflower, and it may even have started to brown a little. Then, just plate it with celery and enjoy! Now if you want another tasty way to get your curcumin and your turmeric in, you don’t always have to be cooking up tasty cauliflower. You can use PuraTHRIVE Curcumin Gold, which has anti-inflammatory and neuroregenerative benefits, offers immune system and digestive support, and more! Curcumin Gold harnesses the power of turmeric, but also of algal oil, which is a great source of omega-3, and ginger oil. These offer their own lists of benefits, allowing this formula to nourish and heal your body and maintain your overall health.